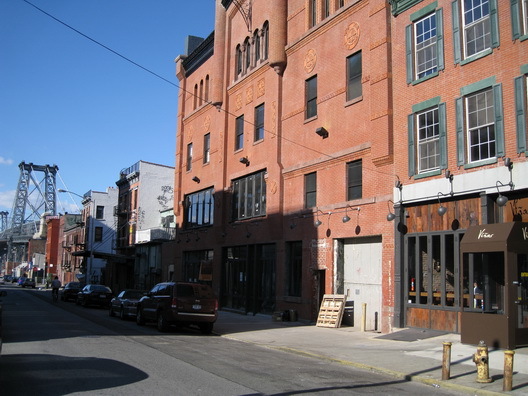 We were never quite sure what fate had in store for this building on S. 6 Street in Williamsburg near Bedford Avenue, but we were surprised, months ago, to learn that it would include being a fitness club. 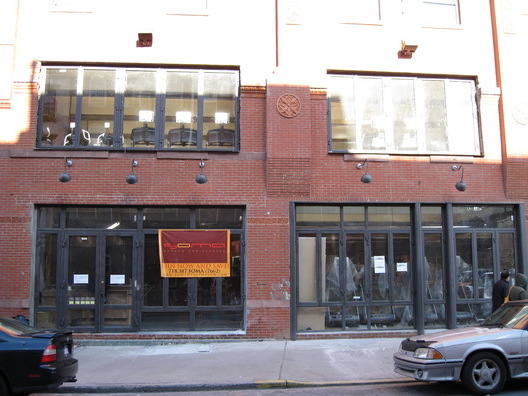 We wandered by this week and found the sign for Soma out front and the workout equipment in the windows. The other ground floor space in the building is occupied by the restaurant Viñas, which opened late last year.